I started thinking about that term ‘brick wall’ as it’s used in genealogy. Have we really hit a brick wall after searching for a few weeks? Have we hit a brick wall if we are only searching online for information? The answer is no. 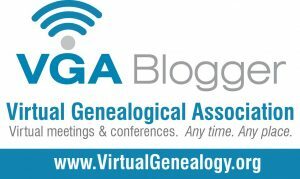 What those pleas for help show is a common misconception that all genealogical material is online and secondly, they show a lack of understanding of one of the main tenants of the Genealogical Proof Standard (the GPS). The first step in accurate research (the GPS has five steps in all), is that our searches should be reasonably exhaustive. Can you truly have exhausted all avenues of research if you are only researching online or if you’ve done it for a few weeks and given up in frustration? A reasonably exhaustive search would imply we have a) educated ourselves as to which records are available that may help our search and b) we have searched for those records, both online and in brick and mortar repositories either ourselves or by asking (and sometimes paying) others to do so for us. I have had some of my best success in locating records previously searched for and not found, by reaching out to local historical and genealogical societies, and to libraries and archives (librarians and archivists are a genealogist’s best friend!). So how do you define your brick wall? Is it a time issue? You’ve been searching for over 5 years, 10 years, longer with nothing to show for it? (A person could say though that you have negative evidence then so really you do have something to show for it). Is it an issue of record availability, in that, the records do not exist and no other record sources have helped in solving the problem (think burned U.S. counties here, or the 1890 census, or the loss of records in the fire in the Public Record Office of Ireland in 1922)? Although again, there are substitute record sets that may help. Is your brick wall an adoption or other NPE (Non-Paternity Event) that DNA has not been able to solve (yet)? I have a couple of brick walls that fall into those categories, one of which is the search for the death of my great-grandfather Harry Joshua Davis. I’ve been searching for his date and place of death for over 15 years now. You can read more about him here. Brick wall research can be frustrating so it’s good to break from it and work on other lines and go back every now and then to see if fresh eyes can bring a different perspective. It’s always good advice to educate yourself on the history of the area and what records may be available – no sense searching for a birth certificate in North Carolina in 1883 when they didn’t start recording birth information until 1913. Know the history, know the records is a mantra I often find myself repeating and one I wrote more about here. While some hobbyists may not be too worried about employing a reasonably exhaustive search, serious family historians and genealogy professionals know the importance of being confident that we have conducted a reasonably exhaustive search before we make any conclusions. And even then, we know that new evidence may turn up that could overturn those conclusions. Brick walls don’t exist when we have only searched online or when we have only been searching for a short time and don’t really know where else to search. Those are bumps in the research road…. they may well lead to a brick wall in the future but without reasonably exhaustive research they are still just a bump in the genealogical road. A Favorite Photo : The men of the Thomas/Bellas/Stables family of County Durham, England.